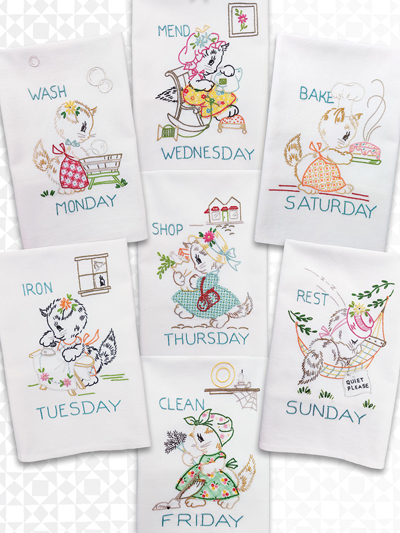 A Kitten A Day pattern shows kitty busy doing the chores of the week! A Kitten A Day iron on designs are 9" tall. They can be done in applique or simple embroidery, the choice is yours. 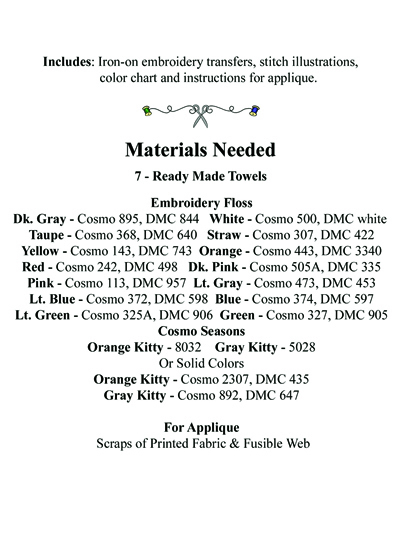 Pattern includes the iron-on designs, color chart, stitch illustrations, directions for applique.